Exercise to music classes are incredibly popular with both male and female exercisers from all ages and ability levels. Studio-based programmes are no longer confined to just aerobics or ‘legs, bums and tums’, there’s such a great variety that today’s exercise instructors need to be incredibly versatile. They also need to be able to teach a range of self and pre-choreographed exercise sessions and classes. *These programmes are registered trademarks of Les Mills and are part of the Body Training Systems (BTS). In order to teach Les Mills programmes, instructors must complete the required training for each package and stay up to date by attending quarterly training workshops. BTS instructors will also need to ensure that they only use music approved and provided by Les Mills International Ltd. In terms of progression, many exercise to music instructors look to broaden their repertoire by completing yoga and Pilates qualifications. Regardless of which group exercise programme you intend to teach, you will need at least a Level 2 Exercise to Music Instructor qualification or greater. 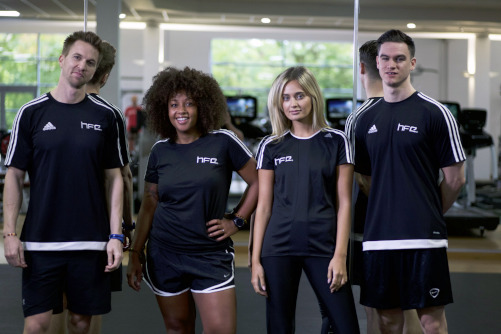 For branded programmes like Les Mills, Spinning, Zumba or RPM, a dedicated training course must be attended with a licensed training provider. In addition, you may also need to pay annual license fees, purchase specific music tracks and attend regular workshops in order to teach these programmes. It’s also worth bearing in mind that unlike the Level 2 Exercise to Music, a Les Mills qualification is not a nationally-recognised and is only valid for that specific programme(s). The Register of Exercise Professionals (REPs) awards 20 points for a Level 2 qualification. Upon joining the Register, which has been set up to safeguard the interests of people who are using the services of fitness instructors, you will be required to demonstrate your commitment to continued professional development (CPD). A failure to do so will result in exclusion from the Register and a forfeit of the benefits and services they provide including insurance and access to a legal helpline. All training courses provided by HFE are REPs approved. In addition, exercise to music instructors may decide to take the self-employment route and hire their own facilities to conduct their own private classes – this has an uncapped earning potential. Instructors are typically paid hourly and this rate depends on the employer and the type of class being taught. Some may pay as little as £10 an hour, while others could pay up to £30 and sometimes more. The opportunities for instructors are endless as there is such a variety of programmes and classes to get involved with, and this isn’t counting an instructor creating their own custom classes, programmes and choreography. Some instructors, especially if they’re looking for more sociable hours choose to take more permanent positions in health clubs, gyms and leisure centres as coordinators or managers. These positions involve developing timetables, managing staff rosters and improving the quality and range of exercise classes offered by the fitness facility.